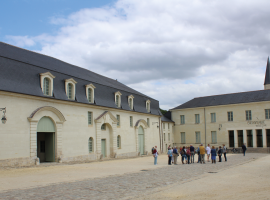 The history of the Abbey of Fontevraud and the stories it has to tell make this an exceptional site. As a mixed-gender abbey run by abbesses, Fontevraud was always unique. Now fitted with innovative technology, this religious building is home to a contemporary art centre, a stylish hotel and a Michelin-starred restaurant, all governed by environmentally-friendly policies. 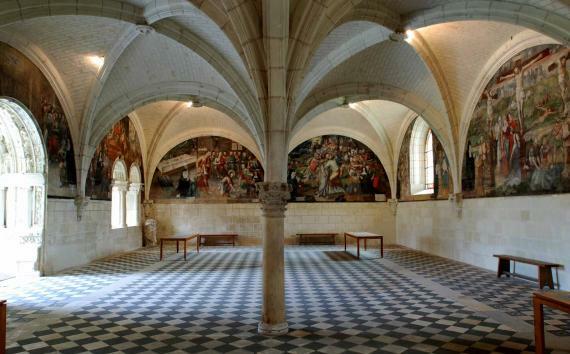 More than a simple visit, the Royal Abbey of Fontevraud offers a new visitor experience. From fief of the abbesses of the Order of Fontevraud to a harsh prison, the walls of the Abbey of Fontevraud conceal centuries of history of a building designed to be a perfect dwelling place, an ideal that it still aims to achieve by fitting its old stones with all the latest environmental and technological advances. The Abbey was founded in 1101 by Robert of Arbrissel, a somewhat eccentric preacher who set his heart and fantastical beliefs on the valley of Fontevraud. With little regard for the customs of the time, he created a mixed-gender monastery and placed it under the leadership of a woman, something which sparked no small amount of controversy among his peers... But the female trend had been started, and 36 abbesses succeeded each other at the head of the Order of Fontevraud, which was to spread throughout Europe. The Abbey’s architecture was designed to host a mixed community, with the Great Monastery built for nuns, Sainte-Marie-Madeleine for women seeking to withdraw from the world, Saint-Lazare for the sick and Saint-Jean-de-l’Habit for monks. The Abbey found favour in the eyes of God and men, including the Counts of Anjou and, notably, Henry II of Plantagenet and his wife Eleanor of Aquitaine, who made Fontevraud a royal burial place. The religious order was severely weakened during the Hundred Years’ War, but regained strength under the leadership of Marie of Brittany in the 15th century. She undertook major reforms with a firm hand and the support of King Louis XI, who instituted the residence of the young Bourbons here right up to the French Revolution. Unfortunately, major decoration work carried out by the Bourbon abbesses was partially destroyed during the Fronde. The Abbey was later transformed into a prison by a decree signed by Emperor Napoleon Bonaparte in 1804, and earned the reputation of being one of the harshest in France. New prison structures replaced the monastic buildings which were turned into hen houses, dormitories and workshops. The prison was closed in 1963. Major restoration work was then launched which is still underway today. In 2000, the Abbey of Fontevraud was listed as a UNESCO World Heritage site and today combines heritage, living spaces and contemporary artistic creation. 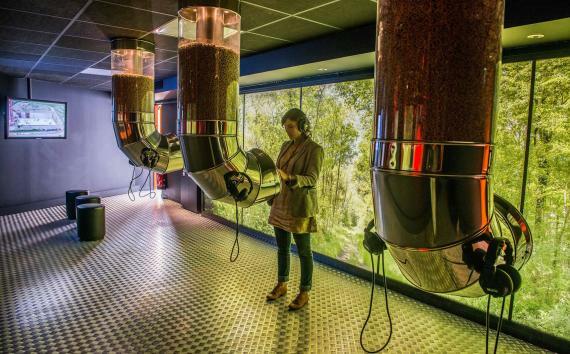 Exhibitions, concerts, shows, screenings, conferences and workshops breathe new life into these old stones which are now fitted with state-of-the-art digital technology. Saint-Lazare Priory has been turned into a stylish high-end hotel and a restaurant allowing visitors to prolong the unique experience proffered by the Abbey. Imagine the life of the nuns in and around the cloister, sleep in buildings laden with history, dine in a Michelin-starred restaurant and enjoy the monasterial silence at nightfall. 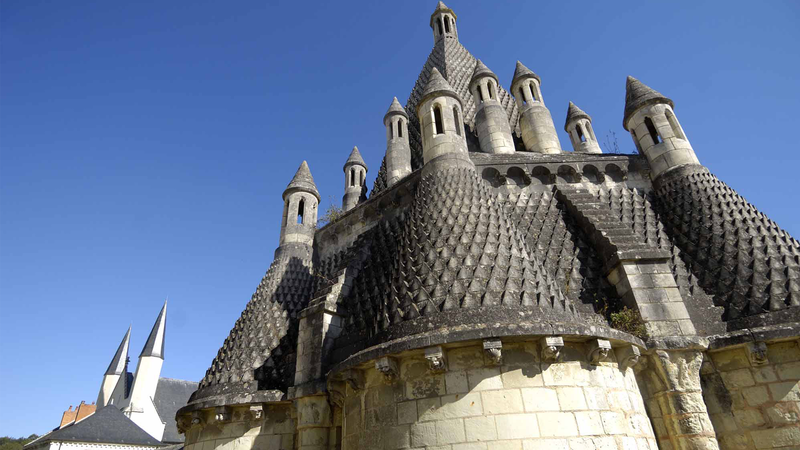 The Abbey of Fontevraud continues to pursue its vocation as a perfect dwelling place under your very eyes. Nicknamed “the Saint-Denis of the Plantagenets” (Saint-Denis Basilica is the traditional burial place for kings of France) the Abbey of Fontevraud became a royal necropolis upon the death of Henry II, King of England. Since then, the remains of the Plantagenets have been resting peacefully in the heart of the abbey church. 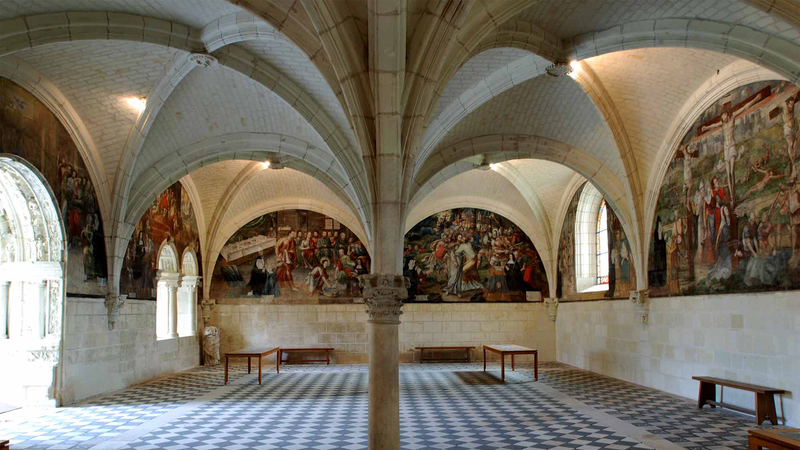 Built during the abbacy of Louise of Bourbon, the Capitular room was central to life in the monastery. Nearly 1,000 years of history have bestowed upon the Abbey a certain wisdom which is manifest today through the site’s sustainable development projects. 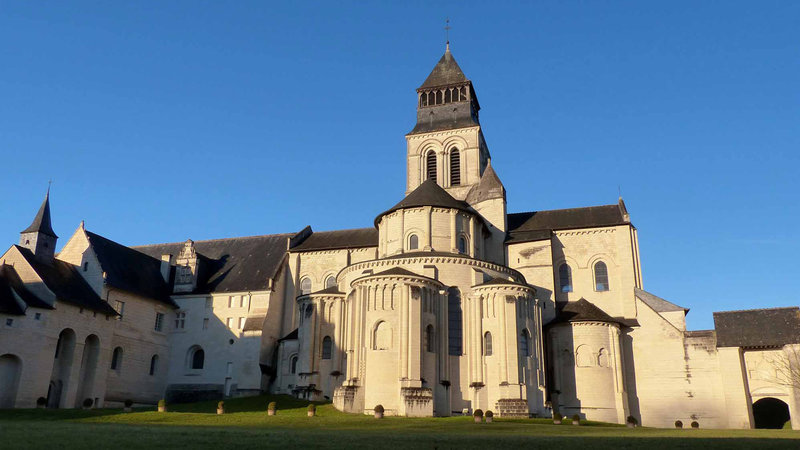 The Abbey of Fontevraud is 16 km from Saumur train station, and a bus service runs between the two locations. Saumur is 2 hours 20 minutes by train from Paris-Montparnasse train station via Tours or Angers. There is a bus link to Fontevraud. By road, Fontevraud is 3 hours from Paris and 4 hours from Bordeaux. SENTIER D'INTERPRETATION DE BENAIS "LA DOUBLE VIE DU COTEAU"